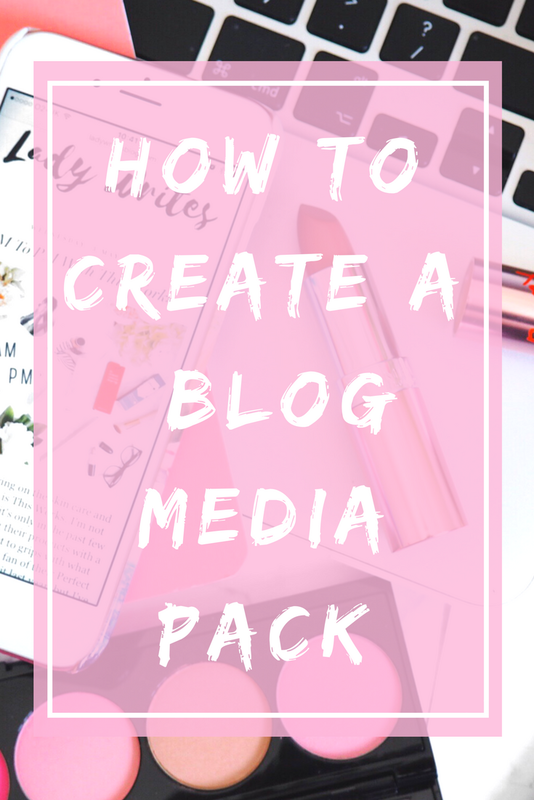 As a PR I work with a lot of bloggers, so it’s fair to say that in my time I’ve seen a huge amount of Blog Media Packs. But after recent chats with my friends, I realised how many questions people had about Media Packs. And not just about how to make one, but also what you should include (and what you shouldn’t) and also a lot of people asking why you’d even need one in the first place. So last month when I tweeted asking if it would be useful for you guys to have a post dedicated to Media Packs, the response was so overwhelmingly ‘YES’ that I’ve been working on putting this comprehensive guide together, since. And I hope that bloggers of every niche will find it useful. I’ve also created a dedicated Pin for Pinterest at the bottom of the post, so please, if you find this useful, could you Pin it on Pinterest? Thanks! Firstly let’s talk about why you need a Media Pack. Let me put it this way – your Media Pack is your blog’s CV. You wouldn’t apply for a job without a CV would you? And more importantly, you wouldn’t use an out-of-date, irrelevant one either would you? When you’re in the situation where you need a CV, you’ll likely make sure it’s the perfect representation of you. And the same applies for your Media Pack. This is quite often the first thing a PR will see and pay attention to when it comes to your blog. Now you could tell me that you’ve managed fine without one until this point – great! I am 100% telling you that if you have a good Media Pack you’ll stand out miles above the competition. So instead of thinking that you’ve managed without one so far, start thinking about how much better you could have done, and still can, if you create one now. 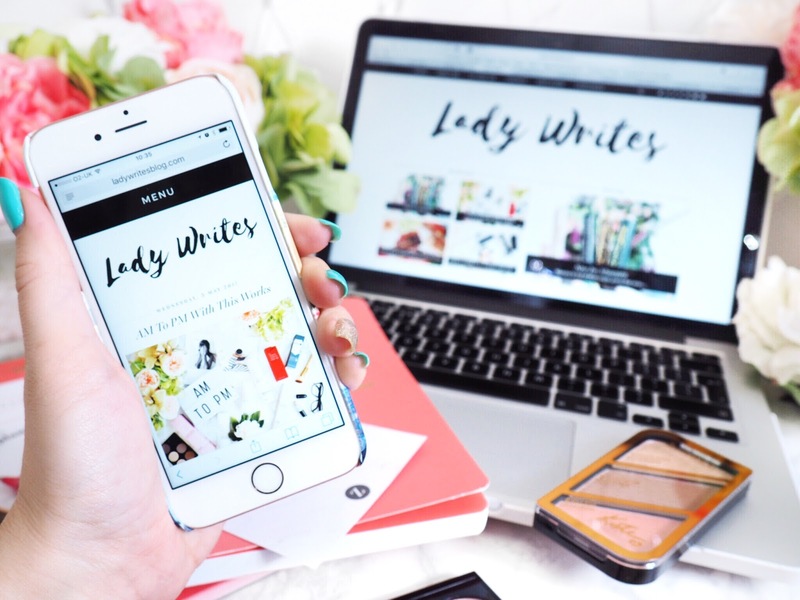 When I receive emails from bloggers, yes, a good introductory email is very important, but a Media Pack is a great way to grab my attention and stand out. 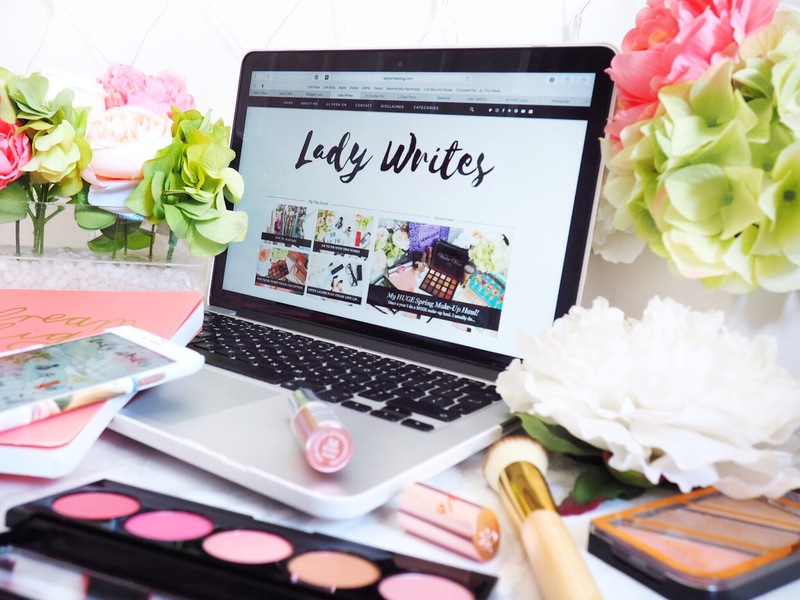 It gives me a feel of who you are as a blogger and also gives you the opportunity to shine in a visual and easy to view way. I’ll talk about what needs to be in a Media Pack next, but generally speaking, all the information should be provided in a simple and easy to digest way – which in the hugely busy world of PR is actually really valuable. I wish we as PR’s had all the time in the world, but we don’t, so a Media Pack is the fastest way for you to ‘sell’ your blog to us. 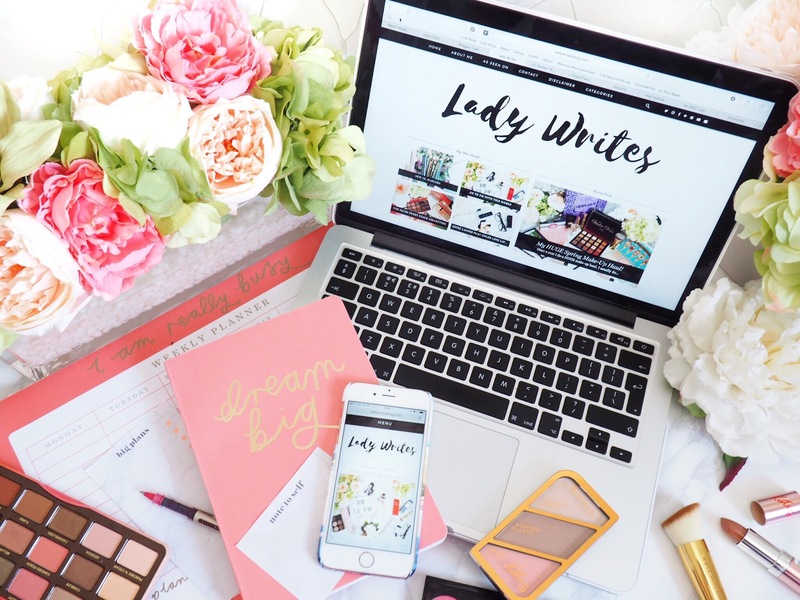 If you want your blog to stand out from the crowd when asking for/applying for opportunities, if you want to grab the attention of a PR, if you want to sell yourself and your blog in the best possible, and most professional light – then you need a Media Pack. So you need to a.) have one in the first place and b.) keep it up to date – that’s the first thing I’m going to say. I update my stats monthly and title the document ‘Lady Writes Media Pack – May’ etc. So the PR’s I send it to, can instantly see it’s relevant and up-to-date even before opening the attachment. It takes seconds to update your information and saves any confusion. Blog title including matching logo. Keeps things looking professional and ‘on-brand’. 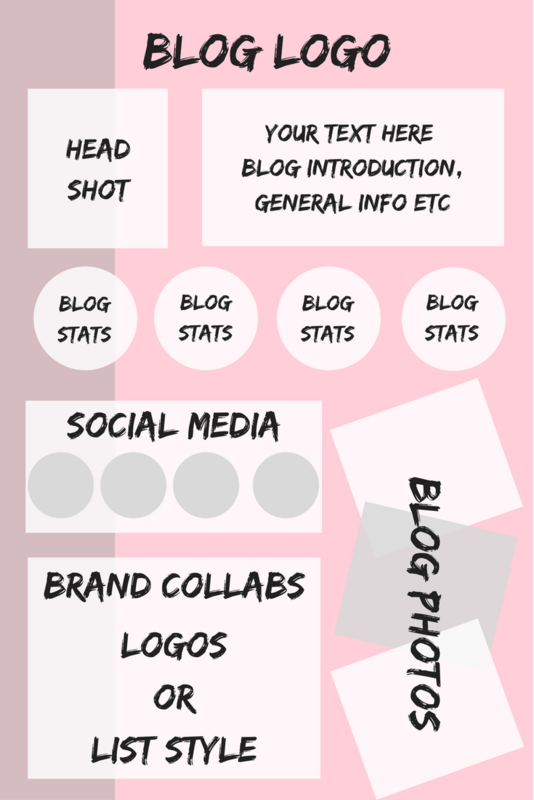 A brief introduction to your blog. Address your niche, what you write about, the type of content that you host etc. Sell yourself – if you’ve won awards, write for other reputable publishers etc, then include that here. This is your place to put on your verbal sassy-pants and show your blog off. The very important bit now. I’m going to say this: I know for many that the desire to include your monthly page views as the main stat is huge – because it often looks more impressive. But the truth is that the stat most PR’s want the most is your number of Unique Users. It’s basically how many eyeballs you get on your blog. Page views are great, but UU’s are essential. So include both. You’ll also want to include your DA (Domain Authority.) And if you know how to find it, your Bounce Rate too. Include your social media handles and link them if possible with a hyperlink. List/show the amount of followers you have per platform and then somewhere near this, total the combined social media following and show this too. Showcase the brands you’ve already worked with. A list or visual showcase of logos is fab. Include your email address and your blog URL. You never know when a PR will come back to your Media Pack, or someone else takes over the job etc. So cover all bases with contact info. Include a couple of photos in your Media Pack – they should be your own images. Use a couple that have done well on social media, or that you’re especially proud of. Also, a headshot is actually really useful, especially in fashion and beauty blogging. This is the basic framework for a Media Pack – not that scary right?! And this should only be a one page job. Any more than that and you’ve done too much. You want your Media Pack to be punchy, quick to digest and straight to the point. You don’t want it to be information overload. To make it easy to visualise, I’ve created a rough template to show how much space to allocate to each topic. You can recreate this yourself on any format – even Word etc would be fine. Just always remember to save and send a Jpeg – these can’t be altered by anyone but you. The above are the essentials, but there are others you can use and include if you want to, and it’s at this point if you want to include any of the following, that you should move on to a second page or reverse side. Don’t try and squeeze on the below to fit a one-page layout. It’s entirely up to you if you include a rate card on your Media Pack. I have a separate Rate card which I offer as requested. But you can discuss the types of content you offer (with or without rates) on your Media Pack. Depending on what you offer, bullet point things like reviews, press releases, first impressions, advertising, YouTube videos etc. Talk about who your audience is. If you’re not sure then think about the people you interact with on social media who say they like your posts etc. How old are they, what do they like doing with their time, do they work etc. If you’re at the stage where you work well with particular brands, why not ask the PR for a quick recommendation? A one line quote from a third party will sing your praises like nothing else. If there’s anything else YOU want to include, then go for it. But I do stress the importance of not putting too much in a Media Pack. They’re designed to be read quickly and to present all the information in a punchy way. Information overload could have the opposite effect and make the PR zone out. And no-one wants that. The Benefits of a Media Pack for your blog will be that you look more professional and you’ll be able to have confidence that you’ve sung your blog’s praises in the best possible way. And nothing can beat that knowledge. Also PR’s can keep Media Packs on file better than a standard email (of which we get a lot!) so even if you don’t get an immediate response, you never know when that brand will reach out to you. At least if they have your Media Pack then they have everything they need to contact you when the time, and campaign, is right. So in conclusion I’ll say this – as a PR the value of a good Media Pack is hard to beat. It always makes me pay more attention to a blogger who contacts me when they attach theirs to their email. FACT. And as a blogger myself, I can hand-on-heart say that some of the opportunities I’ve secured wouldn’t have happened at all without my Media Pack. So what have you got to lose? Also, if you want one but really don’t have the time to create one yourself, check out my friend Emmy Writes About who can create one for you at a small price. If you have any questions, let me know! And please, if you found this useful – PIN IT!